Welcome to TIFCA! 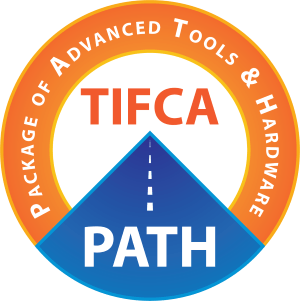 The Package of Advanced Tools & Hardware (TIFCA PATH) is a well-rounded benefits package for first-time voting class members in The International Future Computing Association. This also applies to existing non-voting members that upgrade to a voting class status. “Voting class” refers to members that have a direct influence on the priorities of TIFCA and includes important voting and quorum rights and requirements. Specially formulated by Intel, Advanced Micro Devices, M2 Insights, and The International Future Computing Association, TIFCA PATH delivers a wide range of hardware, software, and unique membership benefits that are easily valued in the thousands of dollars for any serious business or market leader. JOIN TIFCA! Our next voters meeting takes place November 7, 2018 in Toronto, Canada just ahead of the Immersed 2018 summit.